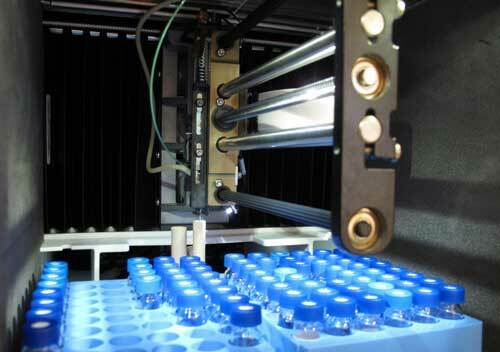 (Nanowerk News) Modern mass spectrometry systems enable scientists to routinely determine the quantitative composition of cells or tissue samples. However, different analysis software packages often produce different results from the same raw data. An international team of researchers led by Professor Stefan Tenzer from the Mainz University Medical Center has now addressed this problem. In the framework of an international collaboration with leading laboratories worldwide, the team has compared and modified various analysis software packages to ensure that the different software solutions produce consistent results. A wide range of laboratories around the world are benefiting from this work, which enables researchers to analyze or compare the results of quantitative proteomics assays in a standardized way. This is crucial to detect certain organic diseases, such as cancer, at an early stage. The results of Tenzer and his team have now been published in the highly respected academic journal, Nature Biotechnology ("A multicenter study benchmarks software tools for label-free proteome quantification"). When doctors want to find the cause of a particular illness, they have to take samples of cells or bodily fluids. These samples are then analyzed by modern Omics techniques which enable to reproducibly quantify thousands of proteins across large numbers of samples to identify novel biomarkers for diseases. The analysis of these highly complex datasets critically depends on specialized software packages. Unfortunately, different software packages sometimes deliver divergent results from the same raw data, thus complicating the analysis. This is exactly the problem that Professor Stefan Tenzer and his team from the Institute of Immunology at the University Medical Center of Johannes Gutenberg University Mainz (JGU) set out to resolve. "We wanted to find a way of optimally comparing samples, even when different analysis software sometimes produces deviating results," explained Tenzer. For his latest project he used two defined samples with precisely defined ratios of constituents. The bioinformatics specialists in Tenzer's team, Dr. Pedro Navarro and Dr. Jörg Kuharev, developed a specialist piece of software, termed LFQbench. This allowed the team to study the differences between the various analysis programs in detail. "Using LFQbench, we were able to show that the results delivered by the various programs differed significantly," explained Navarro. "This finding alone has significant impact for the scientific community. But we have taken the project a step further: Our close collaboration with the developers of the individual programs enabled them to modify and improve their analysis packages so that they now produce highly convergent results," added Tenzer. This broadens the scope of applications of the mass spectrometry technique known as quantitative proteomics. A proteome is the entirety of proteins expressed by a cell. "This means that in the future, mass spectrometry will be able to provide even more benefits both in basic research and as a potential diagnostic tool," Tenzer pointed out. "This development represents a breakthrough for mass spectrometry-based quantitative proteomics and makes this method increasingly important as a standard procedure for use in the diagnosis of various disorders, such as cancer or allergies," emphasized the Chief Scientific Officer of the Mainz University Medical Center, Professor Ulrich Förstermann. "I am particularly proud that our researchers are delivering applied research with such significant impact." The pioneering results were achieved under the aegis of the technology platform "Mass Spectrometry and Quantitative Proteomics" based at the Research Center for Immunotherapy (FZI) at Johannes Gutenberg University Mainz (JGU). "This success demonstrates the necessity of combining different areas of expertise in technology platforms at the University Medical Center. Without central support, it is nowadays almost impossible to accomplish achievements of this kind," said Professor Hansjörg Schild, Director of the Institute of Immunology and coordinator of the FZI for many years. Over recent years, Professor Stefan Tenzer and his team in Mainz have developed several improvements to the techniques used for mass spectrometry-based quantitative proteomics. These methods reproducibly detect and quantify thousands of proteins in samples of cells, tissues, or bodily fluids, and enable researchers to identify proteins that are differentially expressed. "The years of work within the technology platform, especially in international joint projects, have paid off in terms of this quantum leap forward in mass spectrometry-based quantitative proteomics," concluded Tenzer.